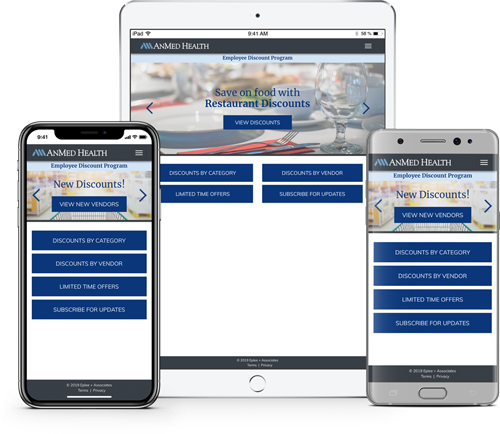 Download the AnMed Health Employee Discount Program mobile web application and have access to your discounts on your tablet or smartphone. From your mobile device, visit http://m.anmedhealthemployeediscounts.com OR click here to scan the QR Code. If you have any questions or need more help, please contact us. Launch Safari and open the Discount Program website. Tap the arrow at the bottom of your screen. You should now see the Discount Program mobile app icon on the Home Screen. Launch Chrome for Android and open the Discount Program website. Tap the menu button and select the "Add to Home screen" option. You'll be prompted to enter a name for the app, then click "OK". Launch Internet Explorer and open the Discount Program website. From the list of options, tap "Pin to Start" .